There are many tools and methods to make Google Analytics more manageable. Google Tag Manager is probably the best known of these, and you can find many, many articles about GTM on these pages as well. However, today I want to tell you about one of the features of Universal Analytics that hasn’t, as far as I know, received too much attention. It’s funny, because at the same time almost everyone uses the feature in the shape of eCommerce, enhanced link attribution, and cross-domain tracking. I’m talking, of course, about Universal Analytics plugins. All the benefits listed above facilitate a plug-and-play integration between a platform and Google Analytics. 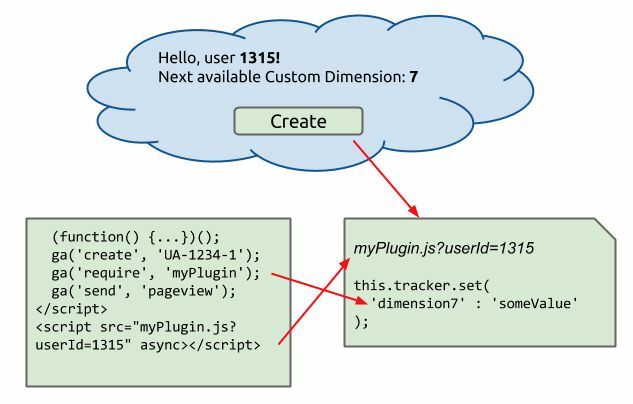 If you’re the developer of the platform, you can create a plugin that does most of the legwork, such as assigning a new Custom Dimension with its respective value, and the user only has to load the plugin to reap the benefits. If you want to understand what the code above does statement by statement, this and this are good places to start. If you know your tracker methods, you’ll see that this attempts to send the clientId of the tracker object as a Custom Dimension with the page view hit. There are two ways to overcome this. You can pass a callback function as an argument to the ga() call, and any code within that function will not be executed until the library has loaded. The second method would be to use a plugin. Even though the tracker interface is not available when the ‘require’ command is added to the queue, the interface will be available once the queue is being processed. Anyway, the tracker object used in the call to the constructor is automatically passed as an argument to the function. This means that you can run commands on the tracker object, and you don’t have to worry about interacting with the right tracker or sending the hits to the right Google Analytics property. The next lines first make sure that the ga() command exists. The ga() function is created in the Universal Analytics tracking snippet, so if your plugin code is executed before the browser parses the tracking snippet, it might not work. Finally, the ga('provide', 'pluginName', Constructor) command is run so that the plugin can be found with its respective ‘require’ call. Below is an example of the loading order in action. The plugin ‘require’ call is between the ‘create’ and ‘send’ calls, and the library itself is loaded after the Universal Analytics tracking code snippet. 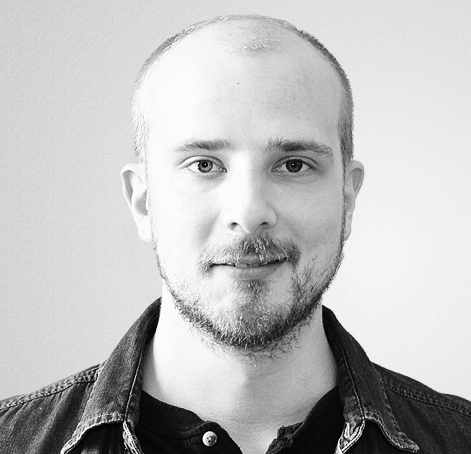 This is to secure that the ga() function is created before the plugin. Note that the ‘require’ command waits for the respective ‘provide’ command indefinitely. This means that if you misspell the plugin name, or if you only have the ‘require’ command there for some reason, the queue processing will not proceed. So try to avoid breaking your analytics implementation, please! As you can see, I have my normal tracker and a tracker with the name rollup, and I’m loading the plugin for both trackers using the typical multiple tracker syntax. By duplicating hits like this, you can create your own data collection mechanism. You can even use a cloud endpoint, which will give you a lot more processing power and scale. You might even use this to overcome the schema conspiracy I’ve been ranting about before. As you can see, an object literal is passed as the second argument of the ga() call. This argument, in turn, is passed to the trackEvent method in the plugin code. The method takes the arguments, makes sure no undefined fields are sent, and pushes an event hit to the property associated with the tracker that was used to call the plugin method. If I wanted to send the call to my rollup tracker, I would have used the syntax ga('rollup.simoPlugin:trackEvent'). First things first: the whole thing is wrapped in an immediately invoked function expression. This is a good habit in general, since it will scope all variables within to function scope, and thus you’ll avoid polluting the global namespace. Here’s good overview of why IIFEs rock: I Love My IIFE - Greg Frank. The next few lines are for making the plugin loader more generic. Since it’s possible to change the global function name in the analytics.js tracking code, we’ll need to make sure the plugin loader works even if the function name is no longer ga. The providePlugin is a generic helper function which is largely redundant, but it will provide useful if you’re loading multiple plugins in the same library. As you can see, the first argument to the function will be the tracker object used to load the plugin. This means that we can manipulate and use this tracker object interface without having to worry about accidentally sending hits to wrong GA properties! I use this.tracker = tracker; to store a reference to the tracker object into each instance of the plugin created with this constructor. This is why commands like ga('simoPlugin:trackEvent') and ga('rollup.simoPlugin:trackEvent') access a different tracker object. They both have their own, unique bindings of this, and thus they both have their own, unique tracker object references. The next line accesses the sendHitTask property of the tracker object. 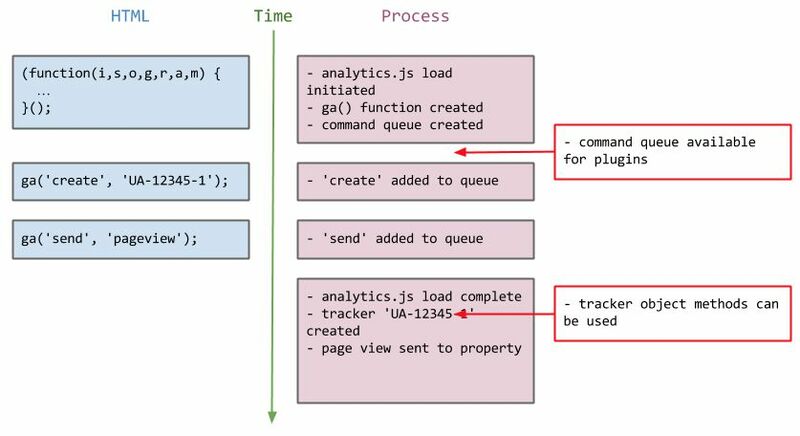 Whenever a ‘send’ command is used with the Universal Analytics global function, a series of tasks are executed. sendHitTask is one of these, and it is used to send the hit payload to the Universal Analytics collection endpoint. The last call in the block is for updating the sendHitTask task in the tracker. This update uses the original sendHitTask (now stored in a variable called originalSendHitTask), and sends the payload to the Universal Analytics collection endpoint as before. The next three lines create a new HTTP request to the endpoint of your choice. The payload of this request is the exactly same payload that is sent to Universal Analytics. By using this code, you will be able to create a perfect copy of the hit sent to Universal Analytics, and you can send this copy anywhere you want, such as a local hit processor, or a custom endpoint in a cloud server, for example. Because this code is in the constructor, it is automatically applied to all ‘send’ commands that take place on the page after the plugin has been loaded. The event pusher is defined as a method of the SimoPlugin object prototype. The reason we’re applying it to the prototype is because we want it to be available to all instances created with the SimoPlugin constructor. If we’d leave the prototype object out of the declaration, the trackEvent method would be added to an object literal called SimoPlugin, and not the object prototype. This means that the instances created from this prototype would not be able to use that method. There are fields for Category, Action, Label, and Value, and I also let you determine whether the hit is non-interaction or not. Finally, you can also add one dimension with the index number and value exposed in the parameters. Because Category and Action are required fields for events, the code will fail if these are not in the object. All the other fields can be left out, which is why I have them resolve to undefined if they don’t exist in the event object. The exception is the nonInteraction field, which defaults to false. Using this generic event pusher, it’s pretty trivial to send simple AND complex events to Universal Analytics. Well, if the event pusher didn’t persuade you with its potential, and if you’re left unimpressed by the hit duplicator, another great idea for plugins is to integrate a SaaS platform and Google Analytics together. For example, let’s say you have a platform through which you can create a new Custom Dimension in a Universal Analytics property, and then you can populate it with some value. This would happen programmatically, and the platform would use the Google Analytics Management API to create the Custom Dimension. This makes the integration between the platform and the website very plug-and-play, and you don’t need to ask the users to look up the correct dimension number, add it to the inline code, and risk some silly misunderstanding ruining the integration. It’s such an elegant way of associating a website with your platform with just two lines of code at best (one for loading the library, and one for the ga('require', 'pluginName') call). Plugins are an excellent way of associating often made calls with their respective tracker objects. Also, they allow you to decouple all of the Universal Analytics commands from inline code. This allows you to write complex handlers for these commands without polluting the page template. Especially if you’re working with platform integrations and want to minimize the amount of work that users willing to implement the plugin need to do, I strongly recommend talking to your developers about creating a custom plugin for the integration. Unfortunately, plugins are not supported by the Google Tag Manager Universal Analytics tag template yet, so you might have to use a Custom HTML Tag to load plugins with GTM. See this article for inspiration.